Edible Arrangements is an American franchising company that specializes in fresh fruits. They use the style of floral arrangements, but make use of fruit as materials instead. The company currently operates in 16 countries and their headquarters is located in Wallingford, Connecticut. In 1999, the company’s first store was established by brothers Kamran and Tariq Farid in East Haven, Connecticut. In 2001, they began using franchising as a method for expansion. By 2009, the company had 940 stores and they had agreements for 85 more locations. In 2017, the company received the Torch of Liberty award from the Anti-Defamation League. The award honors corporations or citizens that helps the community, regardless of race, age, religion, ethnicity, and sexual orientation. The company offers a comprehensive benefits package to their employees which includes a medical, vision, and dental coverage. Employees also get a life insurance, 401K plan, employee discounts, car discount programs, an employee assistance program, and paid vacations. Employees love working for the company because it has a great management and every store has a happy atmosphere. They also like the employee discounts and free fruits during shifts which helps them have a healthier diet. How old do you have to be to work at Edible Arrangements? In order for applicants to receive hiring consideration from the company, they must possess all of the job requirements and they must also pass the minimum age requirement of at least 18 years old. Edible Arrangements offers fulfilling and lucrative careers for people who know the value of hard work and can help make the customers happy. Cashier: A cashier is responsible for processing the customers’ transactions. They operate the cash register, receive payment, give change, and secure the cash register’s contents. They can also be tasked with bagging purchased products. Cashiers need to have good customer service skills and proper grooming since they interact with customers. Delivery Driver: A delivery driver ensures that orders get to the customers’ addresses safe and fast. They need to be good drivers and they must possess extensive knowledge of the area in order to make fast deliveries. They are also responsible for taking care of the store’s delivery vehicle. Delivery drivers also receive payment from customers. Because they represent the store, they must have good customer service skills. Sales Associate: A sales associate provides assistance for the customers. Their duties include greeting customers, informing them about products, answering questions, and helping customers get products. During busy days, they can also operate the cash register and assume bagging duties. Sales associates need to have a pleasant attitude good sales talk skills. Customer Service Representative: A customer service representative is responsible for accommodating customers. Their duties include, but are not limited to, accepting orders through phone calls or over-the-counter, handling complaints, answering questions, and assisting customers. Customer service representatives must have a good attitude, patience for difficult customers, and computer skills. Fruit Expert: A fruit expert ensures that the store continues to offer high quality products. They are responsible for making fruit arrangements, ensuring product quality, checking inventories, logging orders, and making sure that products get to the customers’ locations. Fruit experts need to have creativity and multitasking abilities. Front End Supervisor: A front end supervisor is responsible for leading the front store staff. They ensure that everyone is doing their job, provide instructions, and they also do different tasks such as operating the cash register and assisting customers. Front end supervisors must have leadership skills and multitasking abilities. Supervisor: While a front-end supervisor works with front store employees, a supervisor works in the background. They lead fruit artists by telling them what to do, ensuring that the front store has enough products, and they also check the quality of goods. Furthermore, they also do duties such as making fruit arrangements and smoothies. Supervisors need to have good leadership skills and the ability to multitask. Store Manager: A store manager watches over the store to ensure its smooth day-to-day operations. They provide leadership by directing employees, commending good work, and ensuring that everyone is doing their job. They also provide customer service by communicating with customers and handling their concerns. If needed, they can make business and personnel-related decisions. Store managers need to have leadership, communication, and decision making skills. General Manager: A general manager supervises an area on behalf of the company. Their duties include reviewing performance reports from store managers and going to the company’s locations to make observations. They make reports for the company regarding what they have observed. They can also make business-related decisions to make their area perform better. General managers also need to have good leadership, decision making, and communication skills. Production Engineer: A production engineer is responsible for finding different means to make products efficiently. They use engineering principles to improve the production process. They are also responsible for ensuring that the equipment are all in working order. The company accepts applications at any of their locations. Applicants just have to make sure that they are qualified for the job they want and submit an application. 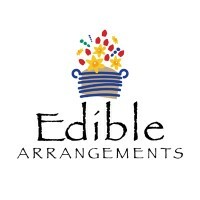 Edible Arrangements also accepts online applications. Job seekers only need to access the careers section of the company’s official website, find an ideal job, and submit their application. In filling up the application form, applicants must review their personal information so they can include anything relevant to their application. They should also ensure that they write the correct contact information so the company can reach them easily. For the resume, the applicants must avoid going overboard when filling it with credentials. They can do this by making sure that the information that they write is relevant to the job and the company that they are applying for. During the job interview, the applicants must arrive wearing a corporate attire and according to the schedule. When answering questions, they must exhibit confidence and attentiveness to the interviewer. Edible Arrangements’ culture is all about achieving one thing: customer satisfaction. They do this by ensuring that they offer high quality products and continuously finding ways to improve. In 2017, the company announced that they plan to aggressively expand their international presence. In the next 3 years, the company expects to open 100 more international locations. The company is known for using floral design concepts in making fresh fruit arrangements. They are also known for their product quality and for their specialty fruit gift items. Because the company cares for the community, they started the Edible Cares program which helps the company make donations and conduct fundraising events for various causes. They also have a long standing partnership with the National Breast Cancer Foundation. 1 How old do you have to be to work at Edible Arrangements?